The hybrid is more unique and engaging. There are shift paddles, and an M (manual) mode. The hybrid will be slightly slower, but acceleration out of corners will be more responsive. [Motor Trend resident driver Randy Pobst] has driven the Hybrid and loved it. It is not track optimized, but the transmission is good for that duty. It will slow down somewhat as the battery is depleted, but this hybrid feels much more mechanically connected. 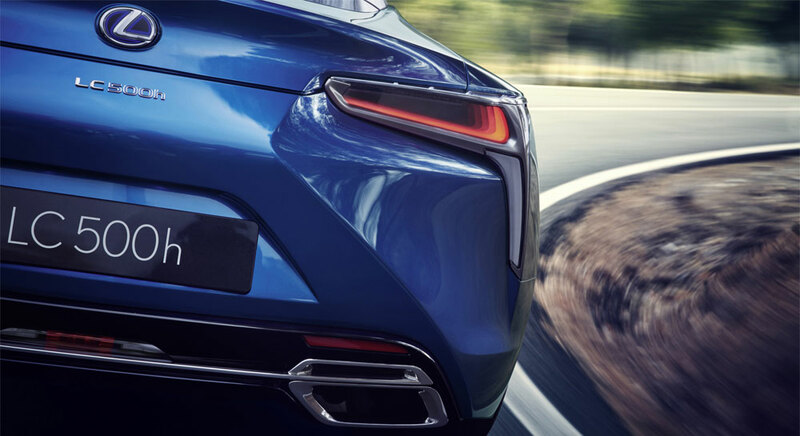 The LC provides two different dynamic recipes—V-8 and hybrid, with the hybrid getting 30 percent better fuel economy than the LS 600h did. Sato-san references the LS 600h, a model unavailable in North America. According to the Lexus Europe website, the LS 600h is rated at 27.3 miles per gallon. There’s some variance in fuel economy testing between the USA and Europe. Let’s use the LS 460 RWD for a rough estimate, which is rated at 21.9 mpg in Europe and 19 mpg in the USA. This means the US rating is only 86.8 percent of the European rating. Based on these calculations, a 30 percent increase over the LS 600h would put the LC 500h at a combined 30.7 mpg in the USA — astounding numbers for a coupe that’s quoted as having a 0-60 time below five seconds.